Sabeti Lab researchers publish two cover features in Cell on Human Evolution. Lab alum, Sijia Wang, is now a PI at the Paul-Gerson-Unna Research Group of Dermatogenomics in Shanghai. Stephen Gire’s recent Science publication discusses growing evidence that deadly disease outbreaks once thought to be sporadic and rare, may actually be cases of ’emerging diagnosis’. See the story covered by the Harvard Gazette here. See the story covered by the Broad Institute here. In a new study published in PNAS, graduate student Danny Park et al. demonstrate the use of whole-genome association studies for identifying regions involved in drug resistance in Plasmodium falciparum. See the HSPH news story here. 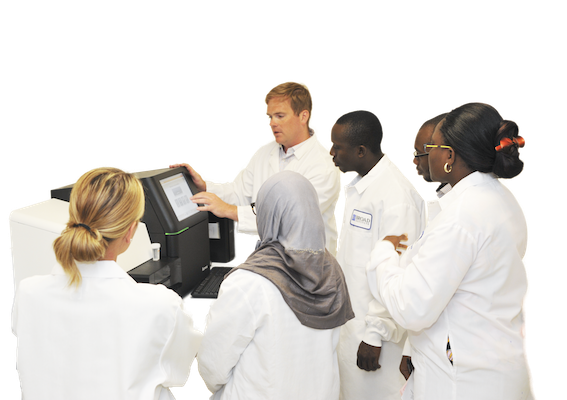 Pardis Explores The Power Of Genomic Science And Human Partnership As A Means Of Combating Infectious Diseases Before They Become Global Pandemics. A team of researchers from Harvard and the Broad Institute at MIT identified 11 genes that are implicated in the malaria parasite’s notorious ability to rapidly evade drug treatments—a discovery that could revolutionize malaria treatment. The Sabeti Lab contributed to the computational genetics component of the collaboration. Read the announcement in the Harvard Crimson. An interview with Pardis Sabeti in Discover Magazine.